You are here: Home / Philly / The Arts In Philly: Ten Things! You don’t always appreciate what you have until it’s gone. That is/was me with Monday Listicles. When Stasha went on hiatus, my sister reached out to her and revived the weekly blog hop. 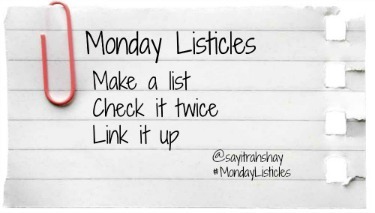 I’m pretty excited to have a chance to start my week with a list. They are easy to write, I can be creative, and I crib inspiration from others. This week, I want to highlight my adoration of Broadway Philadelphia. The Arts in Philly is a close alternative for the Broadway lover in your life. The Illusionists. As a skeptic, I was blown away by the seven men who performed on stage. The Boy was equally transfixed, trying to wait for them to leave the theater for autographs. My favorite was The Trickster, a man who was quick with the jokes and even quicker liberating folks of their watches. This was a family friendly show, full of laughs, oohs, and aahs. The sun will come out from March 17 to the 22nd with the Tony Award winning production of Annie. 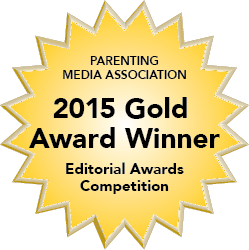 The story of the optimistic orphan, her dog Sandy, and Daddy Warbucks is sure to delight fans both old and new. Jillian Mueller (Baby) and Samuel Pergande (Johnny) in the North American tour of DIRTY DANCING – THE CLASSIC STORY ON STAGE. The show I’m really waiting for is The Lion King. The Tree of Life from THE LION KING National Tour. This movie holds a special place in my heart because I had planned to give birth to The Teen to this song. Unfortunately, she was in a rush to come, so this played as they cleaned her up and introduced me to my first born. I know these tickets will be hot, hot, hot! 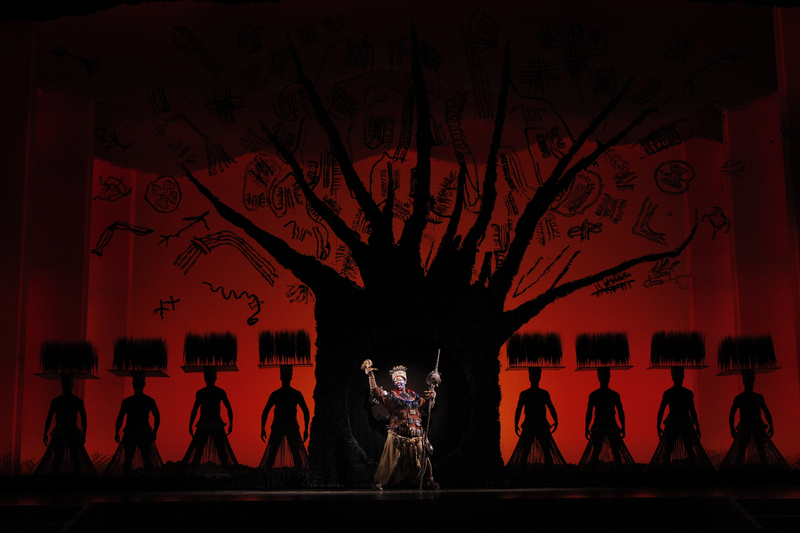 The Lion King will be playing at The Academy of Music from May 20 – June 14, 2015. The Kimmel Center also features some free programs. Visit The Kimmel Center site for additional information. For those who want to try their hand at a chance of winning tickets, follow @TheArtsInPhilly. Their last giveaway was for the Philly Pops. Before 5pm today tweet “The hottest tickets in town! You’re gonna love @TheArtsInPhilly!” your chance to win @ThePhillyPops tickets! I would be remiss if I didn’t mention The Philly Pops. The Boy loves hearing them play, having a renewed interest in his own trumpet practice after we see a show. Last year we saw the Magical Music of John Williams. This year we have a date for Epic Hollywood Soundtracks. Swan Lake performed by The Philadelphia Ballet is also on our list of must sees. The music of Tchaikovsky is always a draw and the beauty of the dancers is breathtaking. Last, but not least, for the Spring season is the Broadway Smash The Color Purple. The Color Purple is a 1982 novel by Alice Walker that won the 1983 Pulitzer Prize for Fiction and the National Book Award for Fiction. I grew up watching Whoopie Goldberg and Oprah Winfrey demanding justice from the men in their lives. The Color Purple’ was hugely successful as a novel, on screen and on Broadway. This performance stars the powerhouse Jennifer Holliday. What show are you looking forward to? What would you recommend? Leave your thoughts in the comments below! I love the arts and Philly does a great job with so many options for everyone. I had no idea there was so much going on in Philly! These all sound like great date ideas, too. Sounds like a great list. Wish I was closer ti catch them. Lol, I quote from Dirty Dancing all the time since it is my favorite movie. I’m glad I’m not the only one. I am looking forward to them all! Thanks for the info. I happen to live close enough to NYC to be able to see shows on B or off Broadway if I want and if I have the funds (not often any more). I am glad to hear that they bring these shows to Philadelphia as well. I am sure everyone will enjoy them! Looks like you’re getting a lot of great performances this year! We have a few here, but nothing as great as those. I spent a year in Philadelphia and the arts are definitely something I miss so much. That and Mirabella’s in Center City (not sure if it is still there). Definitely gotta get the kids there some time.